Can a B Team beat an A Team? A look back at World Cup hero and waistcoat-amabassador Gareth Southgate's World Cup 2018 team strategy. Steve Jobs famously said that “a small team of A+ players can run circles around a giant team of B and C players”. So the theory goes, when your team is comprised of the most highly-skilled people you have right decisions and judgements being made, backed up with highly effective execution. In addition, teams of A players usually attract more A players, expanding the team’s skills and excellence. As a recruiter, I know that this ethos is embedded within the corporate mindset of hiring - that is why they pay people like me, headhunters, to find A players for their businesses with few willing to invest in what they perceive as a B player. My question is, however, in our thirst and drive for the very best individuals do we sometimes end up with a low-performing team? Can the sum of the whole be less than the sum of the parts? I'm not an expert in football, but I do know a thing or two about effective teams and I believe the performance of the England squad in the 2018 World Cup goes some way towards answering my question. 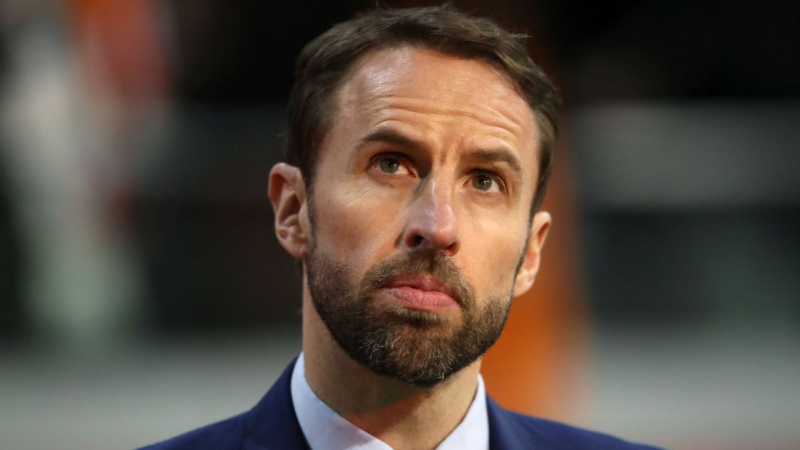 In years gone by, under the reign of managers like Sven Goran Eriksson and Fabio Capello, the formula for picking an England team had been simple... In essence, they would grab themselves the latest edition of the Panini Sticker Book and choose the eleven 'best' cards and then try and squeeze that eleven into a team. “Yet there is something genius about the way he pulled together that team, a team which no one could have described as being ram-packed full of A players…”. What I believe Gareth Southgate did, was much deeper and far cleverer than just playing the conventional “best” eleven. Southgate did not choose the eleven we all perhaps expected him to play, he did not choose the obvious players but created a team just days before the competition of what many thought of as 'B' players. He got a lot of fire for his choices, it looked like he was taking a big risk on unproven young players. Bear in mind he himself was not the first choice for the England manager job and there were doubts over his ability to do the job - he was the 'B' manager but rather than take the 'safe' option, focusing on stats and drawing his players from perhaps the best performing teams, Southgate knew better. He trusted his own experience and judgement and he had the confidence to take risks. This was strong leadership, having the strength of charactor to do what he believed was right, regardless of the pressure to do otherwise. To quote Kipling: "If you can trust yourself when all men doubt you, but make allowance for their doubting too"
"What we can learn from Southgate's success in 2018, is that supposed B players aren't always what they seem." I see this reflected in the way corporate boards hire E-commerce and digital marketing teams. In my experience, when positions become vacant, corporations try to recruit the Panini ‘star cards’ in the belief that filling vacancies with this certain type of person puts them on an automatic route to victory. This is of course not always the wrong approach - companies should be searching for A players - but there is something very infantile about believing success will follow by simply just collecting the best Panini star stickers. What we can learn from Southgate's success in 2018 is that supposed B players aren't always what they seem. A clever, insightful recruiter can unveil deeper skills and talents and by focussing on the team vs the individuals we can create multipliers, teams that add up to more than the sum of their parts rather than less. What we can all learn from (Sir?) Southgate is sometimes the B team isn't actually the B team and can run circles around any A team.